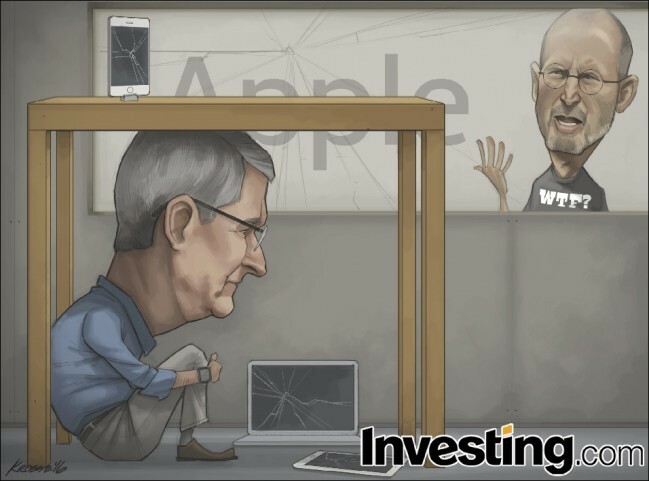 Amid Apple’s first fall in sales for 13 years, please find analysis, charts and a comic below that might help any coverage you provide on the tech giant’s earnings miss. “The disappointing earnings got a lot of traders asking themselves if Apple lost its magic,” said Jesse Cohen, senior editor at Investing.com. “With iPhone sales slowing, the tech giant needs to find a new engine for growth and its smartwatch isn’t cutting it so far.